Analyst house Gartner Inc., has officially released its 2018 Magic Quadrant for Talent Management Suites. The report highlights 9 providers of talent management suites that it considers most significant in the talent management market. 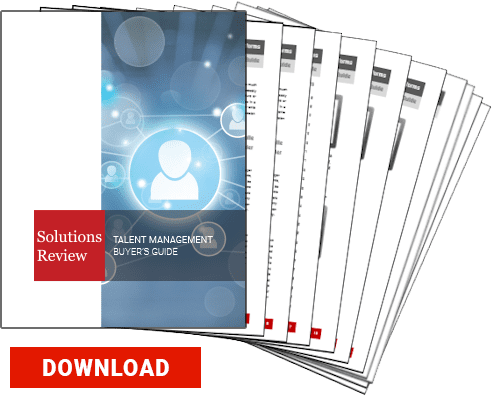 This is an excellent resource which can assist buyers looking for talent management solutions in finding the right tools and solutions that will work best for their organizations. Analysts define a talent management (TM) suite as an integrated set of modules that supports an organization’s need to plan, attract, develop, reward, engage and retain talent. The modules offer functionality that includes the areas of workforce planning, recruiting and onboarding, performance appraisal, goal management, learning management, competency management, career development, succession and compensation. Since 2017’s Magic Quadrant for Talent Management Suites, Gartner has seen a boost of demand in the TM suite market that has resulted from the delivery of functionality to improve workforce engagement and collaboration. While some enterprises continue to pursue a best-of-breed strategy by implementing point solutions for TM, Gartner research indicates that the number of customers adopting more than two modules from a single vendor continues to grow. In this Magic Quadrant, Gartner evaluates the strengths and weaknesses of 9 providers that it considers most significant in the marketplace, and provides readers with a graph (the Magic Quadrant) plotting the vendors based on their ability to execute and their completeness of vision. The graph is divided into four quadrants: niche players, challengers, visionaries, and leaders. At Solutions Review, we read the report, available here, and pulled out the key takeaways. Cornerstone OnDemand and SAP SuccessFactors lead the way in this years Magic Quadrant, plotted as Leaders due to their functional depth and breadth across the full TM suite, product vision and solid business results in the form of revenue and earnings. Last year Oracle was among them, however, in 2018 Oracle has been dropped because they failed to meet the requirement to sell the TM suite modules separately from its core HR applications. Halogen Software was acquired by Saba Software back in May, 2017 but the company’s TM offering, TalentSpace, still made it in the Visionaries quadrant, along with Talentsoft, Saba Cloud, Skillsoft (SumTotal Systems), and Haufe. Newly added to this years report is PageUp, who is well-suited to multinational organizations, especially those headquartered in Asia/Pacific and the U.S. According to Gartner, customers indicated that overall cost was one of their primary reasons for choosing PageUp. Technomedia, who is now Cegid, stayed put in the Niche Players quadrant from last year because of its strengths in recruiting and onboarding. Cegid received customer satisfaction scores for pricing and contract flexibility that were above the average for vendors in this Magic Quadrant. Read Gartner’s 2018 Magic Quadrant for Talent Management Suites.